Escape the winter chill and head to Mexico with these incredible vacation values at top resorts. Whether you're looking for an all-inclusive experience, an adults-only retreat or a high-energy family vacation, You'll find the best prices right here. 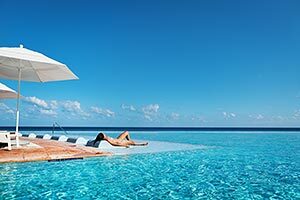 Set on the Yucatan Peninsula, Cancun is known for its white-sand beaches and stunning cerulean seas, Cancun promises an idyllic getaway. Here, you'll find the perfect mix of world-class resorts, active nightlife and upscale shopping, all amid astoundingly beautiful surroundings. Discover picturesque mountain and desert landscapes at the southern tip of the Baja California Peninsula where the Sea of Cortez meets the Pacific Ocean. Go sportfishing, visit the colonial town of Todos Santos or bask in the sunshine on Lover's Beach. 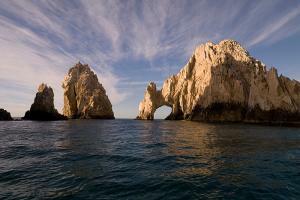 In Los Cabos, you'll find an activity to suit every expectation. Awaken your senses in this charming city that is as rich in tradition as it is in opportunities to explore. 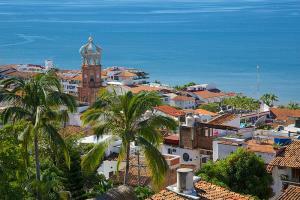 Explore the colonial heart of Puerto Vallarta, or stroll along the lively oceanfront Malecon. Zipline through the jungle or discover the creatures of the deep on a snorkel tour. Or just lie on a pristine beach and enjoy the sunshine. On the Riviera Maya, upscale resorts and pristine beaches beckon. The archaeological wonders of Tulum and Chichen Itza make for memorable excursions onshore, while the world's second largest coral reef, just off Riviera Maya's shoreline, offers an underwater wonderland for divers and snorkelers. Rates are based on roundtrip air travel from Miami (MIA) to Cancun (Grand Oasis Cancun) and Riviera Maya (Ocean Coral & Turquesa Hotel), Los Angeles (LAX) to Puerto Vallarta (Riu Jalisco) and San Diego (SAN) to Los Cabos (Barcelo Gran Faro Los Cabos) and are per person, based on double occupancy. Advertised vacation rate(s) valid for departures 1/29/18. Mexico on Sale Offer: Valid on new bookings for select travel 11/7/17 - 4/30/18; blackout dates apply 12/23 - 12/31/17. 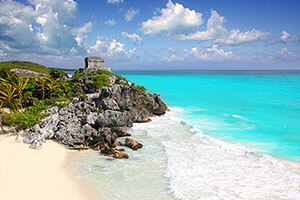 Requires roundtrip airfare and accommodations at any hotel or resort in Pleasant Holidays’ Mexico portfolio. No minimum night stay required. Certain restrictions may apply.